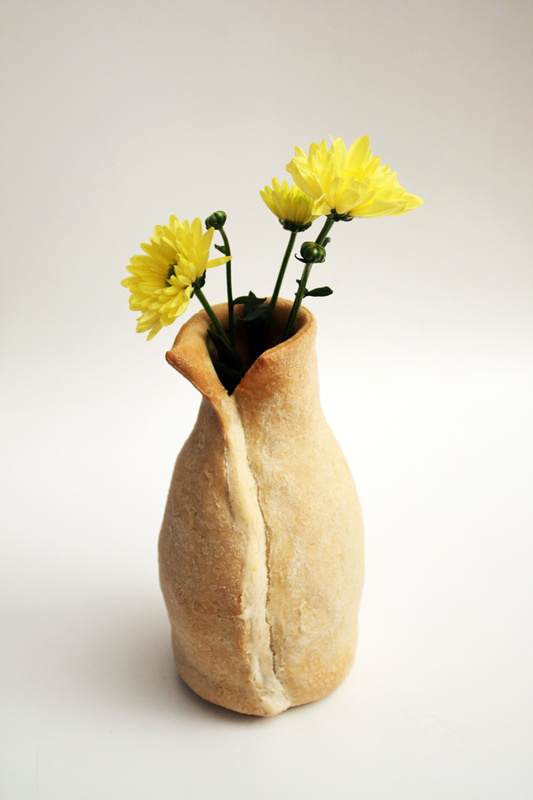 Continuing my investigation into bread I created some bread vases. 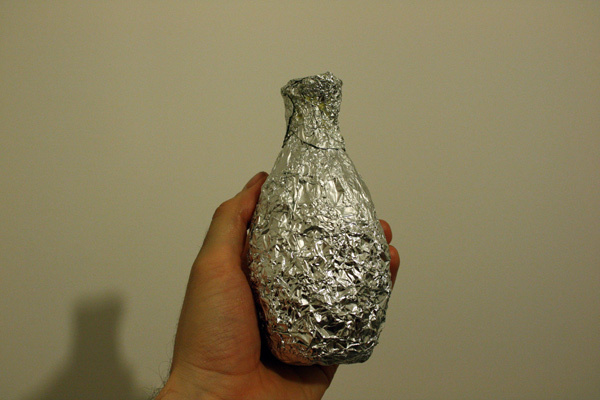 I used tin foil as a base on which to wrap the bread dough. 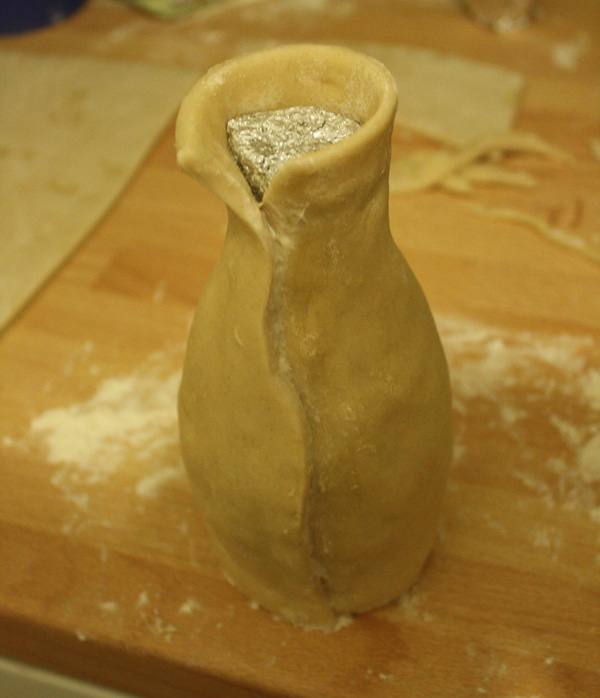 I decided to overlap the dough and keep the seam which seemed a natural method of joining the rolled dough. I always think it is best to let a material go where it wants and take a natural form under guidance. I started sealing the vases with resin and varnish and i will report back in the future. I enjoy waiting to see how the heat and the baking process affects the dough. I’m learning what is possible and how to solve issues as I go along. 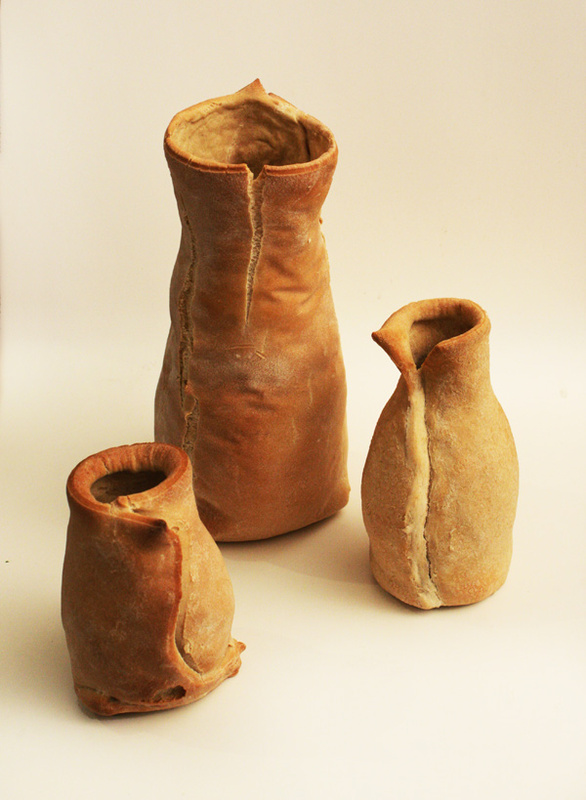 The imperfections, curves and leans in the vases are something I am excited about. The stage of creating the foil base is essential to the final form. This is part of a 30 day Speed Creating project I am doing. Outcomes were exhibited at the Anti – Design Festival between 18th-21st September, Mestakes and manifestos, Londonewcastle gallery, 28 Redchurch St, London. You can follow my progress on Twitter and Facebook, Click here to view all the days so far in a row.